My 1990 Palisades (earlier in the thread) has the same long gap to the last digit. Thank you for your message and especially your enthusiasm for Marin! Our serial numbers reflect production data and do not refer to models. From the serial number you have provided below I believe that your bike is a 1994 model. 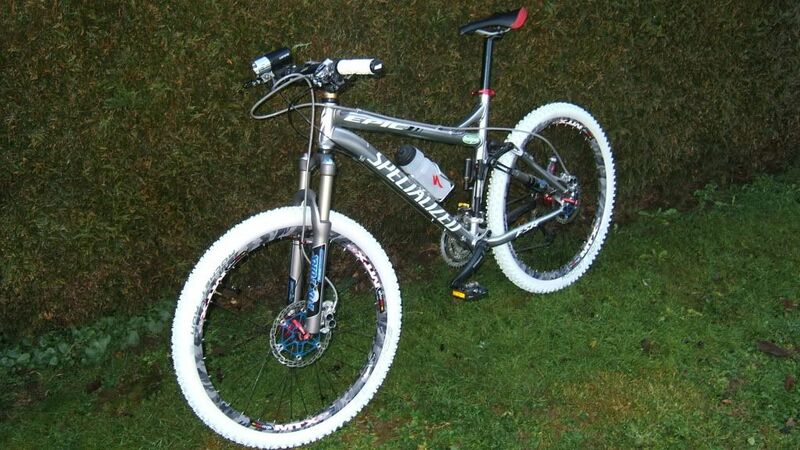 Please send us a picture of your bike and we will do our best to identify the model. > Marin model that I am unsure about the model. > Could you explain me what the serial number is all about? > I would guess it could be a Rocky Ridge or a Indian Firetrail? > Could you say me more? > I want to rebuild this classic. > Keep your good work up, especially your great frames! the serial # is MJ3DS0198 can anyone decifer these? Thank you very much! So when I bought the bike, I was told it was a 1994 Bear Valley SE, turns out it is a 1996 according to the serial number? Some traces of earlier decals - the hint of an M in the frame to the left of the MARIN decal - which looks too low anyway. IIRC the earlier Alu ones had a different numbering scheme. To me it looks like an early Nail Trail or IFT, before the CNC bridges. The later italic script came in late 90's (like your decal), but it has a canti bridge. Hmm.